We offer a wide array of Sports Lowers in various design and sizes. Made using superior quality fabric, our range is comfortable to wear, and skin friendly. In addition, these lowers are available in drawstring and elastic bands. Color Black, Navy Blue, D.Grey, Royal Blue. Price varies from Rs 100/- to Rs 1500/- based on the quality, quantity and specification of the products. We are offering the quality range of Sports Lowers. Fabricated using supreme quality fabrics such as cotton and hosiery, these track lowers are available with us in different patterns, colors, styles and designs. These are available the market leading price. We are engaged in offering a wide range of Sports Lowers in various design and sizes. Manufactured using high quality fabric, our range is comfortable to wear, and skin friendly. These products are available in market at competitive rates. We are one of the leading organization engaged in providing excellent quality Sport Pants, which are manufactured by using high grade material. These Sport Pants are widely appreciated by our clients which are situated all round the nation. 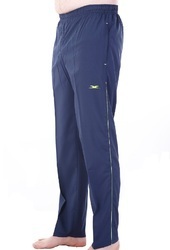 High in demand, these Sport Pants are available at most reasonable prices. We are one of the leading organization engaged in providing excellent quality Pant Lowers, which are manufactured by using high grade material. These Sport Pants are widely appreciated by our clients which are situated all round the nation. High in demand, these Sport Pants are available at most reasonable prices. 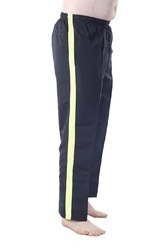 We are offering the quality range of Track Pants. We make sure that our entire range of Track Pant is tested on well-defined parameters to ensure their high durability and quality standards. Moreover, we have with us an excellent team that is capable of customizing these products as per the specifications of the clients.